On Saturday we went to Bekonscot Model village. It rained a lot and the little ones got thoroughly soaked very quickly, but that didn’t spoil their fun! The model village is amazing and very well maintained. 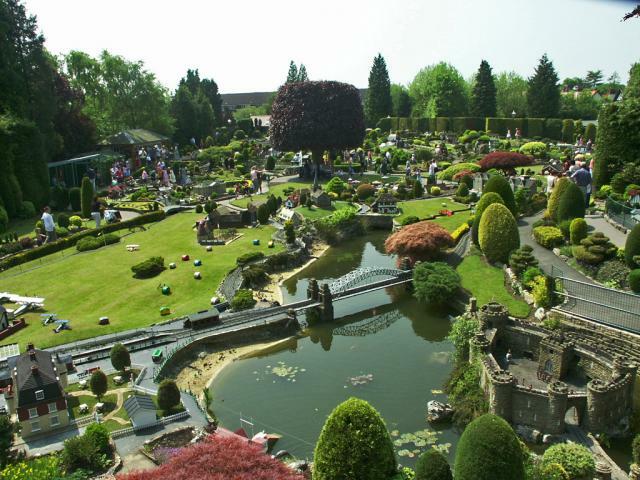 It is the world’s oldest model village, first opened in 1929. The detail was incredible, and you could visit hundreds of times and still find something new every time. I loved the shops with their tiny loaves of bread, cakes, shoes, flowers and many more besides. The trains were a big hit with the children, especially Tiddler, and there was so much to see that they were entranced for a very long time. They also enjoyed a ride on the miniature railway, playing in the playground and eating lunch in the cafe. While sheltering from the rain, they made a dragonfly at the RSPB stand. It involved pipe cleaners, beads and pre-cut wings – a nice simple craft idea which we might try at our home education group. We have lots of little ones so I am always on the lookout for easy crafts which are also appealing to the older ones. It was a thoroughly enjoyable family day out and I’m sure we’ll be visiting again. 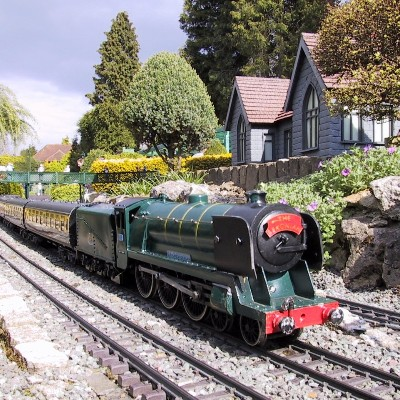 This entry was posted in Outings and tagged Bekonscot model village, outdoors, trains on July 11, 2012 by Hannah.